In addition to looking your best, you may also desire to lose weight in order to improve your health. Hanson Chiropractic specializes in relieving patients of discomfort and pain associated with the spine, but we also aim to do everything else we can to make sure our patients feel their best, including weight loss. Ideal Protein makes for a great solution for avoiding a number of preventable diseases and conditions, all while improving your self-esteem. What makes Ideal Protein so effective at helping you achieve your weight-loss goals is that it teaches you how to both lose and keep off your weight. This approach has worked for more than a decade, and there’s a generous variety of cuisine options to satisfy your appetite for salty, spicy, and sweet foods. As you’re enjoying the Ideal Protein plan, you’ll receive professional support and guidance from your very own weight loss mentor. Are you ready to lose weight and improve your current and future health? 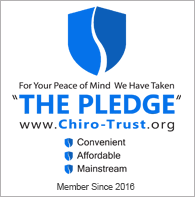 Hanson Chiropractic would love to tell you more. Whenever you’re ready, feel free to send us a message or give us a call at 425-355-3739. The staff has been so encouraging, and always willing to answer questions.